I recently set foot back into the 9-5 world (as a full-time fashion stylist) after TWO years of being my own boss. Let's just say things are very different nowadays... I am no longer working in the comfort of my own home while wearing pjs with my cat(s) on my lap. As I am trying to juggle between my full-time job, my several freelance jobs, and blogging, simplicity is what I gravitate toward on my days off. 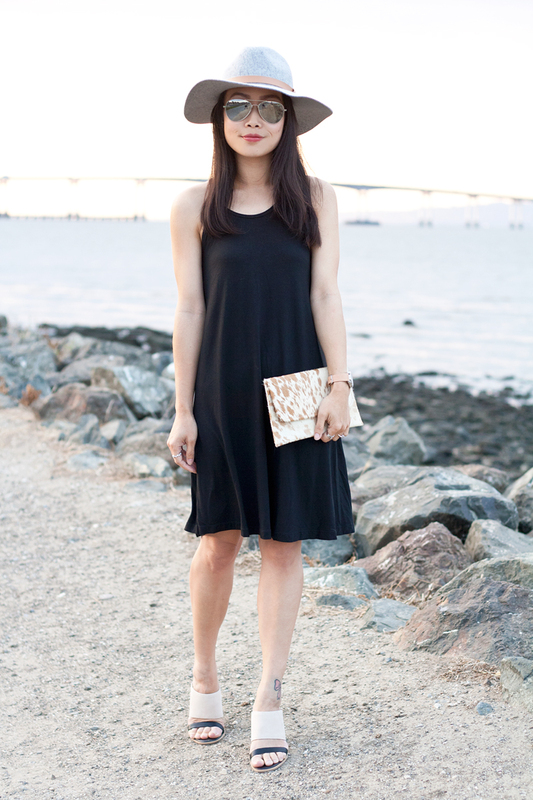 This black jersey swing dress is so easy. 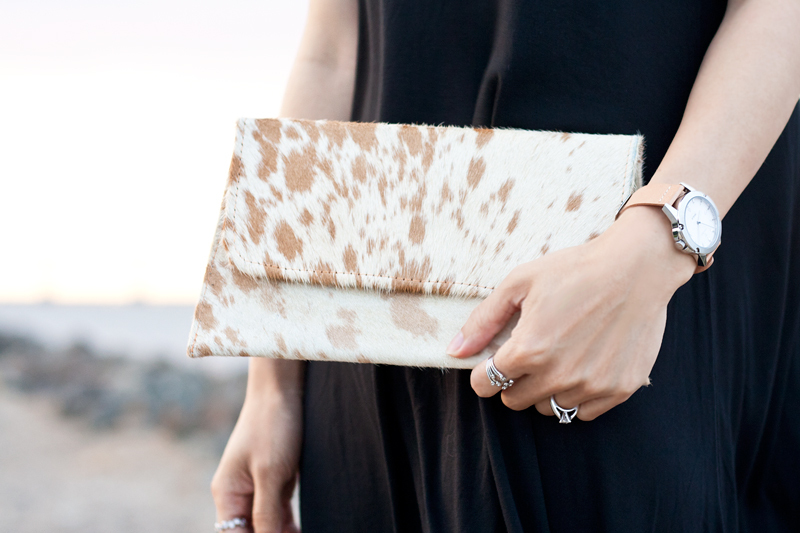 I especially love the skinny straps that resemble a halter cut. 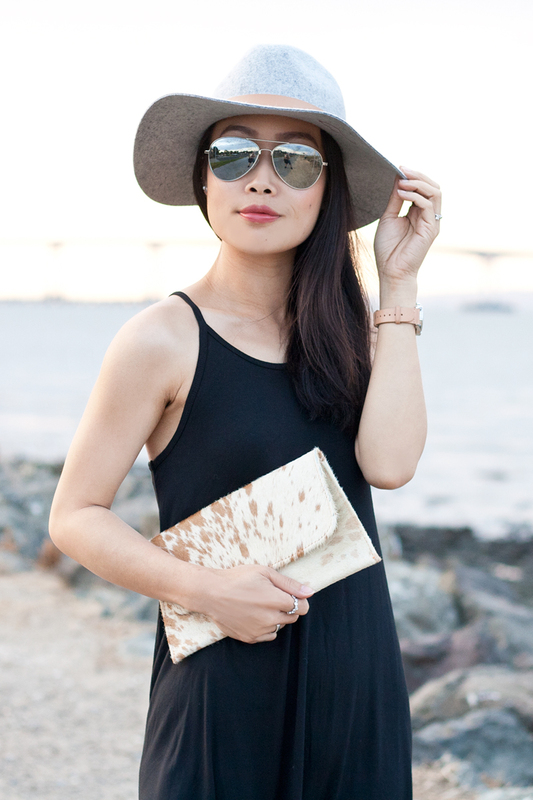 I kept the look effortless with this amazing hat (I have so many hats but not one in this shade of gray) I recently picked up from H&M and these awesome mules from Seychelles. 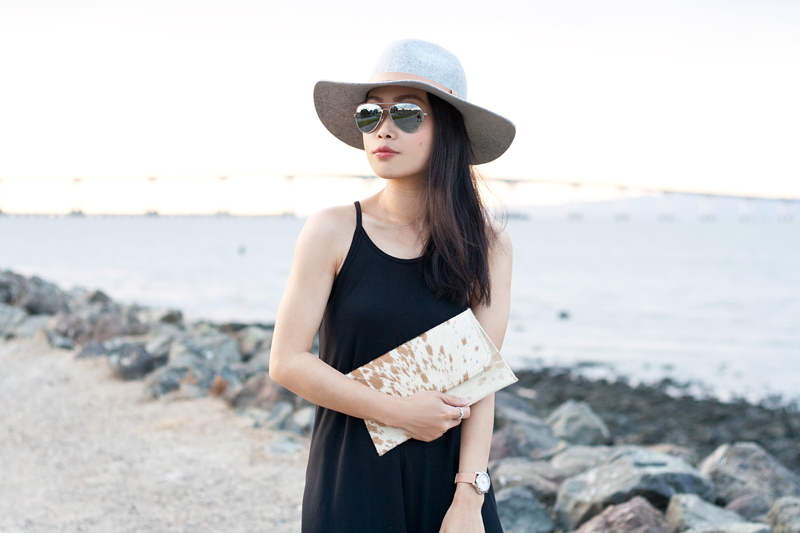 I guess keeping things simple while staying chic is my go-to style for the rest of the summer! 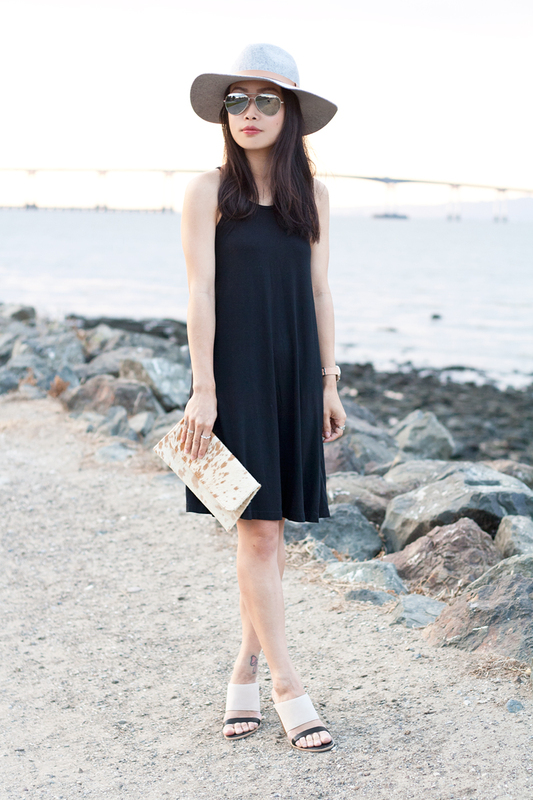 Black swing dress (sold out in black but other colors here) from Old Navy. 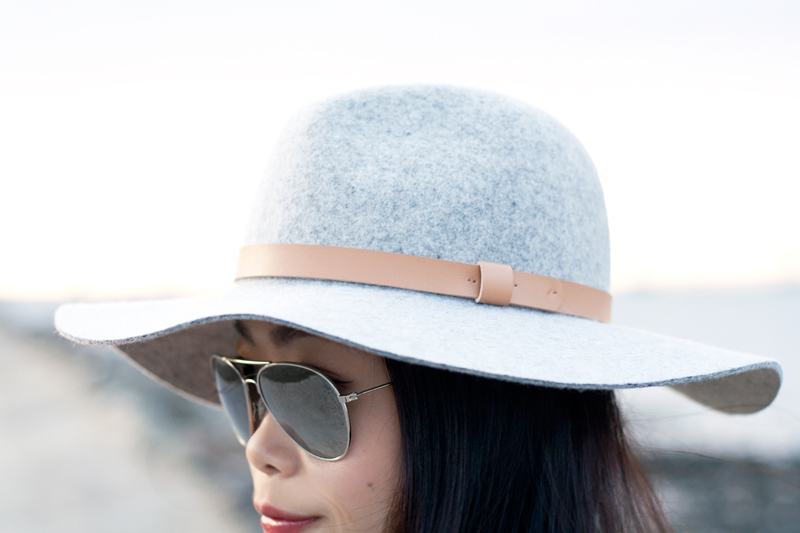 Wool fedora hat from H&M. Lyra leather heeled mules c/o Seychelles. Skala leather watch c/o TRIWA.